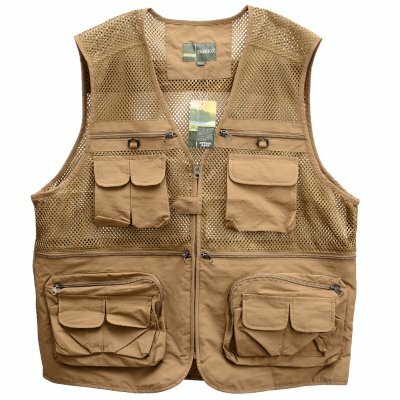 Successfully Added Men's Outdoor Sports Photography Fishing Multi Pocket Zipper Casual Loose Mesh Vest Khaki - XL to your Shopping Cart. This is Asia size,we are smaller 1 to 2 size than US or Euro size,please kindly check the picture for the size detail before you buy it. As different computers display colors differently, the color of the actual item may vary slightly from the pictures.Hope you understand.